Did someone in your family fight alongside French & British soldiers? 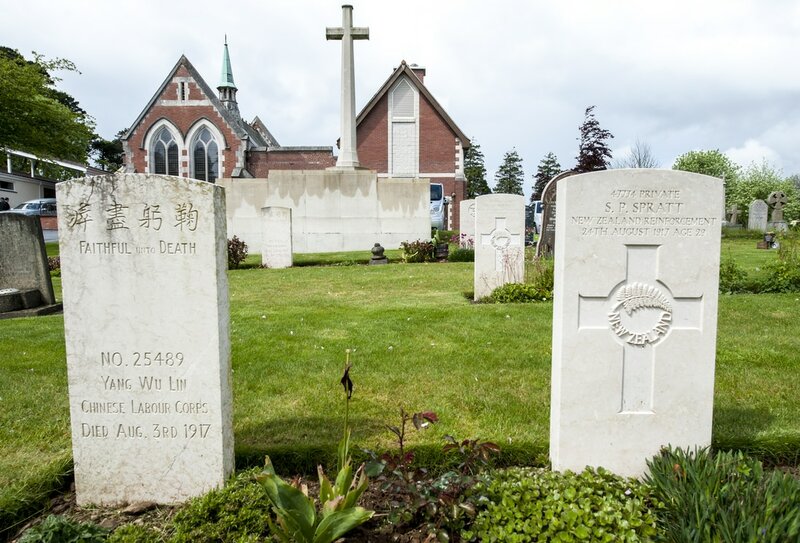 Do you have a relative who fought for the British Empire during WW1? Have you a story of fighting alongside soldiers from the different nations? Did the war impact on you or your family in some way? Have you already done some research on your family and the war? 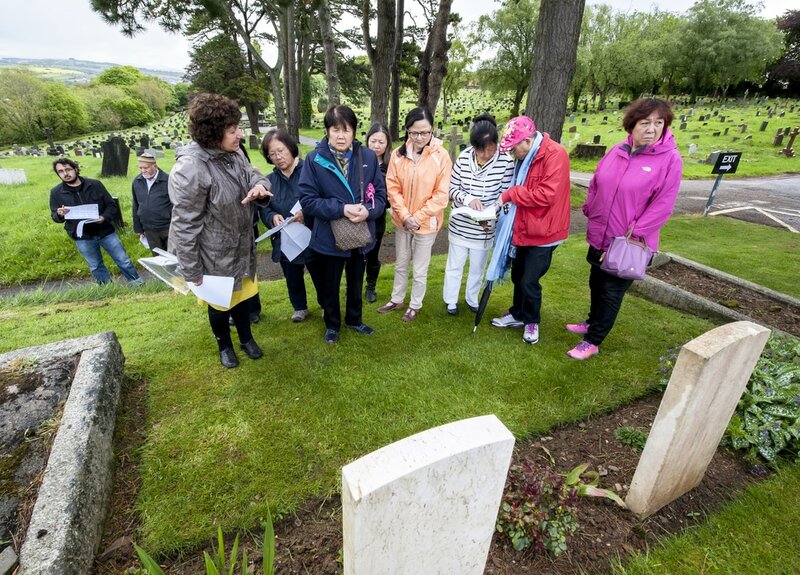 Are you interested in finding out about your heritage links to WW1? Complete our short questionnaire below. The questions are translated into: Hindi, Chinese, Urdu and Tahalog. Once completed please email or hand it in at the Hikmat Office at St Sidwells. 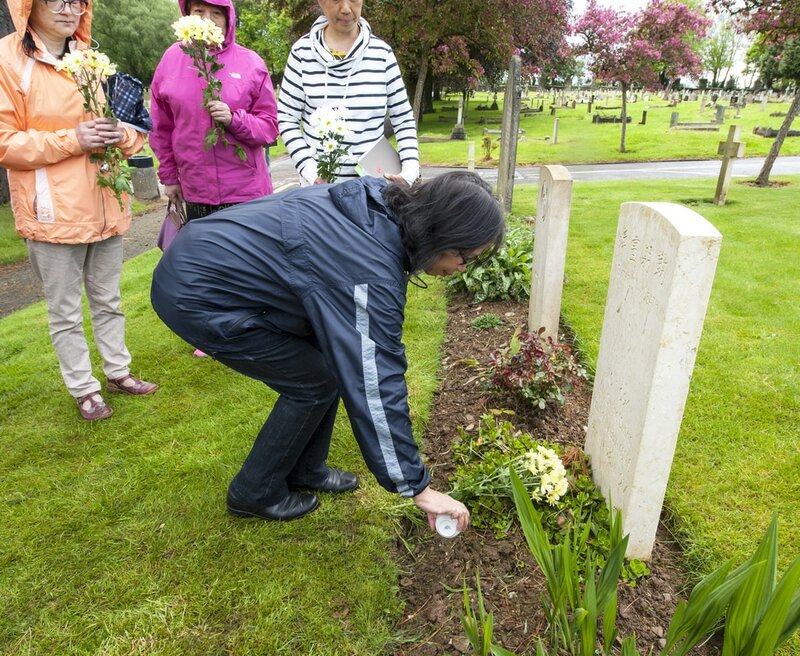 In May 2016 members of the Hikmat community took a mini bus to the Plymouth's Efford Cemetry to pay a personal tribute to 8 young Chinese men who died en route from their home land of China to the battlefields of France's Western front during WW1. 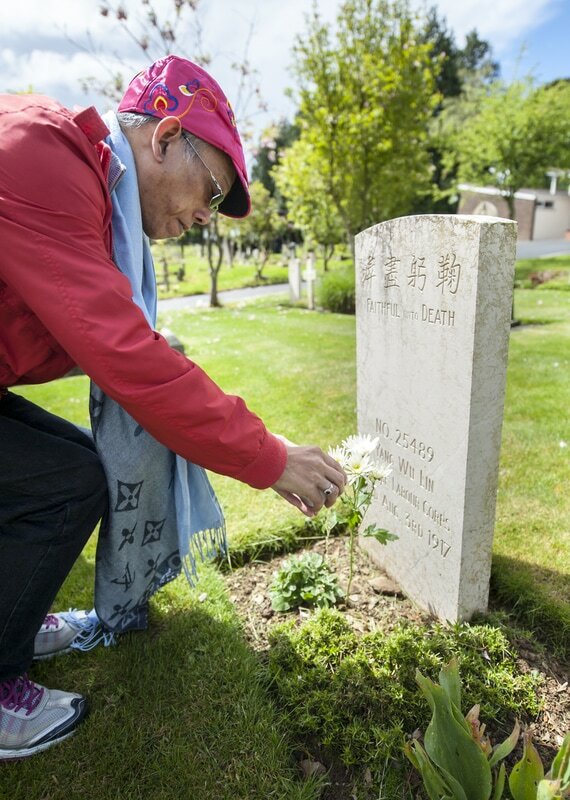 The final verse of Valerie Bloom's Poem 'Nineteen' was read at the cemetery in memory of the Chinese Labour Corps men that are buried there. 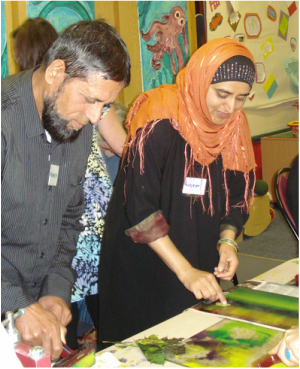 Musarat lives in Exeter with her husband Asif and works for Hikmat supporting its members and co-ordinating its various community based projects. During the funding application for this project she discovered her grandfather had fought on the Western front in WW1. Her father Rasheed lives in Pakistan and in 2015 we interviewed him over skype. . His father Mohammad Sahfie was born at the turn of the 20th century, into a farming community in the Rajouri district of Kashmir, India. 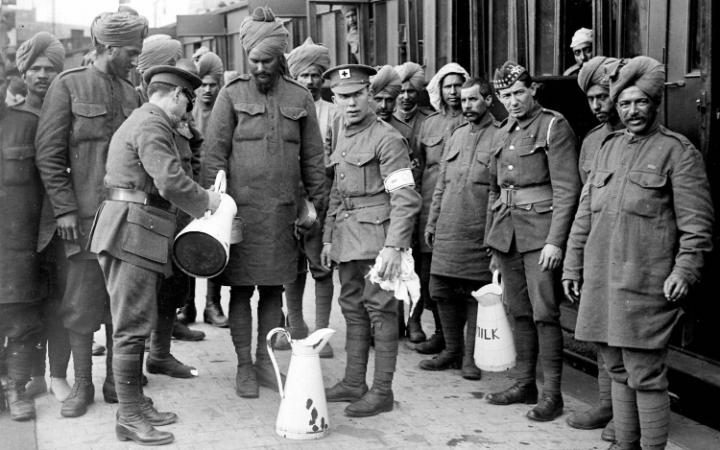 The British Army desperate for more men to fight the war looks to India to help. Rasheed’s father Mohammad could recall a time when nobody was voluntarily going into the army, young Indian men had become terrified of fighting and of joining up. In response the British sent recruitment agents out onto the streets of India. Money and sweets were used to persuade young men, husbands and fathers to join up. Rasheed recalls how his father Mohammad was recruited into the British Army along with 3 other boys as a young teenager. Sent by his parents one morning to get wheat from their farm ground down to flour he failed to return home. The distressed mothers of the boys later discovered the young men had been picked up by British Army Agents and taken to a training camp in Bangladesh near Dacca. There was nothing the mothers could do. “It wasn’t a choice it was a form of kidnapping” Rasheed tells us. CLICK HERE for an audio recording of Rasheed recalling, in Urdu, his father's story of being recruited into the British Army. Musarat has interpreted the story into English. CLICK HERE to hear Musarat reading a Punjabi propaganda song used to entice men to sign up into the British Army. ​Playwright Ishy Din (left) pays tribute to Khudadad Khan (right), the first Muslim soldier to receive a Victoria Cross. Khudadad Khan was from a village in a rural area of northwest India, now Pakistan. He was a Muslim sepoy in the 129th Duke of Connaught's Own Baluchis, one of the south Asian soldiers to fight alongside the British during the First World War. When Leicester's Curve Theatre asked Din to write a play about these men, to highlight their sometimes overlooked contribution, he confessed he didn't know much about the Indians who fought in the Great War. "My grandfather marched with you, carrying your guns, sack loads of food, and your uniforms.... My grandfather and his East African brothers became the hands and the feet of your army. They marched twenty miles a day, through short rains and long rains, without hats or shoes, unable to escape because they were so far from home." On the hundredth anniversary of the declaration of war – this project asked the public the question: "If you were able to send a personal message to this soldier, a man who served and was killed during World War One, what would you write?". The response was extraordinary, they received more than 21,000 letters all together. All the letters and more can be viewed on the project website. Using the search boxes, you can also look through the archive for letters by specific people, by location, by theme, or by keywords. A fascinating look at why a nation would join a war that wasn't there own. The motives, incitements and pressures to support, sign up and recruit 900,000 men from across India. A look at the 'martial races' an idea that was part colonial strategy and part indigenous tradition. Discover why 190,000 men (muslims, sikhs and hindus) were recruited from the Punjab regions alone. How in 1919 a rain of terror saw poor fathers handing over their sons for money and mothers desperate to save their children turned their protests into songs that still exist today. Learn about colonial revolutionary politics and why a fear of the Bengali Nationalists meant they were not allowed to fight but ended up contribution in different ways as doctors and translators. Santanu Das an Indian academic and author well known for his work on the First World War tells the story of how one and half million Indian men were recruited from villages and towns of British India to serve the Empire in WW1. Click here to hear the stories. Hand it to Musarat or Ella at Exeter's St Sidwell Office. How did the war Impact on you and your family? What do you find interesting about World War1? KA is particularly interested in finding out about the role the war played in helping India gain Independence from British Rule in 1947 and about the experience of soldiers like his father who were recruited from small villages and farming communities in Pakistan and posted to Gallipoli and the Western front. How do the WW1 stories make you feel? 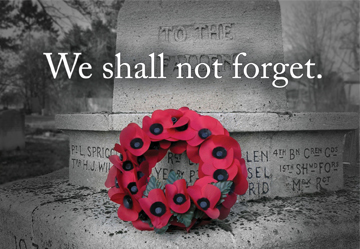 How do you remember those who died in the war?